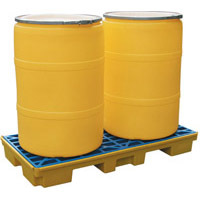 Spill decks, pallets and pans are an effective way to contain unexpected drum spills and leaks. They are durable, nest-able and forklift friendly. 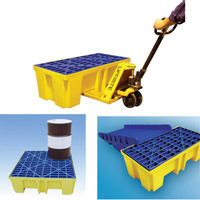 Spill decks and pallets have interchangeable grates and comply with the governmental secondary containment regulations.